Pakistan goes to the election on Wednesday, July 25, as the nation, its politicians, neighbors, and the international community observes the most anticipated of polls in the nation’s history. 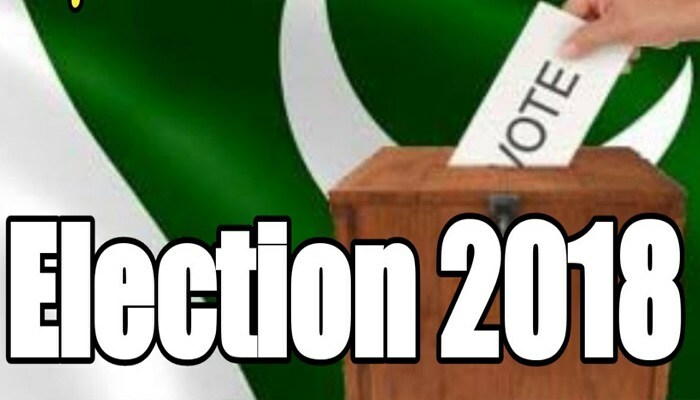 Political parties and their hopefuls made last efforts to accumulate greater public support in their domains for the polls, as the Election Commission of Pakistan’s (ECP) due date for electioneering finished midnight on Tuesday. Two major contenders have emerged among the many other political entities contesting the race are: the Imran Khan-led Pakistan Tehreek-e-Insaf (PTI) and the Pakistan Muslim League-Nawaz (PML-N), which plans to win a second term notwithstanding the imprisoning of its founder, ousted former prime minister Nawaz Sharif under corruption charges. “The time has come for you to make this movement a success, and announce such a historic verdict which may sweep all those verdicts away that have made Pakistan a graveyard of justice,” Nawaz urged the masses to vote for PML-N on July 25, in an audio message from Adiala jail on Monday, where he is serving his sentence. PML-N president and Nawaz’s younger brother Shahbaz Sharif, in his address to a public gathering in Dera Ghazi Khan on Monday, claimed the PML-N was winning the elections despite all the injustices. PTI chairman Imran Khan, who addressed the public in different parts of Lahore Monday night, lashed out at the opposing PML-N saying the former Punjab government carried out development “only in advertisements”. The cricketer-turned-politician urged the nation to change its fate come Wednesday. “We all have to go out on July 25 to vote for the PTI,” he said. Polling is relied upon to start at 8 am tomorrow and finish up with no break at 6 pm. Upwards of 12,570 contestants are running for a sum of 849 seats of the national and provincial legislature in general decision. Around 1.6 million appointive staff are to be on obligation on the poll day. 449,465 policemen will be sent, out of which 202,100 will be posted in Punjab and Islamabad while 100,500 will be positioned in Sindh. In Khyber Pakhtunkhwa, 87,269 policemen will be on deployment. Around 800,000 LEA’s and armed force personnel will be deployed for security on July 25. The process of deployment of troops for the free, fair and transparent conduct of General Election 2018 has been completed, the Inter-Services Public Relations said on Monday. The ECP has planned special security measures for 17,007 highly sensitive polling stations throughout the country. The official said a total of 85,307 polling stations have been set up in all the four provinces, FATA, and the federal capital. 47,813 of the polling stations are in Punjab, 17,747 in Sindh, 12,634 in Khyber Pakhtunkhwa, 4,420 in Balochistan, 797 in the federal capital and 1,896 in FATA.